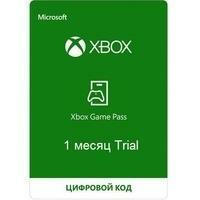 LICENSE KEY FROM Xbox Game Pass 1 month IS DISPLAYED IN THE BROWSER WINDOW AND COMES TO YOUR E-MAIL AUTOMATICALLY AFTER PAYMENT. ATTENTION!!! ACTIVATION IS POSSIBLE ONLY ON NEW ACCOUNTS, WHERE GENERALLY WAS NOT SUBSCRIBED TO THE Xbox Game Pass. Attention key must be activated before 06/30/2019!
! From February 21, 2019, Microsoft has decided to withdraw its Xbox Live subscription from the Russian version of the global online store Microsoft Store. Accordingly, the OPPORTUNITY to include auto-renewal and GET 1 MONTH FOR FREE in the RUSSIAN LANGUAGE version is ABSENT! After successful activation, please leave your review. Thanks!